378 pages | 42 B/W Illus. 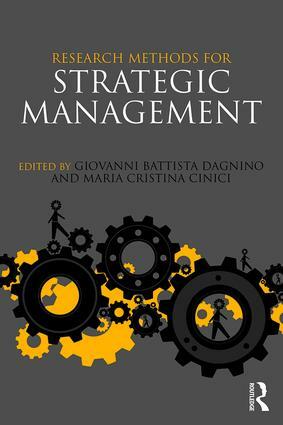 Giovanni Battista Dagnino is Professor in the Department of Economics and Business of the University of Catania, Italy and Visiting Professor at the Tuck School of Business at Dartmouth, USA. He has authored/edited eleven books and several articles in leading management journals. Maria Cristina Cinici is Assistant Professor of Business Economics and Management at the Department of Economics of the University of Messina, Italy.